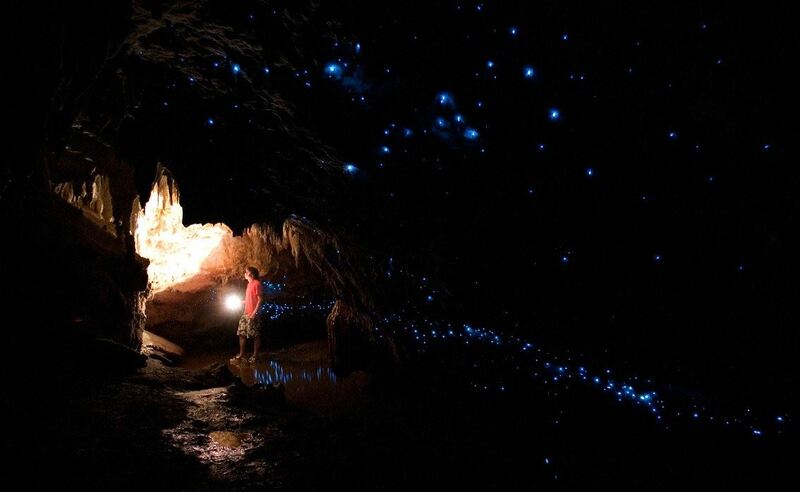 As the club hasn't been to the Nikau Caves for a few years, it must be time again to join us for this very different and really cool, adventurous trip, because who doesn't love Glow Worms! This is quite a different experience to Waitomo, the drive alone once off the motorway, if really stunning. The cave tour is booked for 10.30am and included in your cave tour cost they provide you a safety helmet and torch and we will be split into groups of no more than 10 people to be guided through. The actual cave tour takes 1.5 hours. For the first 20 metres you crawl into the Limestone cave, through an extremely shallow stream, so you may get a bit damp. Then the cave opens out to an extremely comfortable standing height even for the very tall. Once into the cave you will see lots of incredible stalactities and stalagmites and amazing Glow Worms really close all around you! No touching anything though. You reach the other end of the cave and come out into a magical other worldy lush type bush setting and return along the track to office. We'll stop for lunch and you can bring your own lunch or order lunch at the yummy cafe. After lunch we'll go for a walk to the really pretty waterfall which is also on Cave grounds. Please bring a full change of clothes and shoes and bag for your gear (as usual) as you may get wet going through the caves. Please note if there is heavy rainfall the night before or on the day, this trip maybe cancelled, but you will be advised accordingly and run a local tramp instead. EFTPOS IS AVAILABLE, BUT THEY DO NOT ACCEPT CREDIT CARDS AT NIKAU CAVES. THIS TRIP REQUIRES EVERYONE TO REGISTER WHO IS PLANNING TO GO INTO THE CAVES.